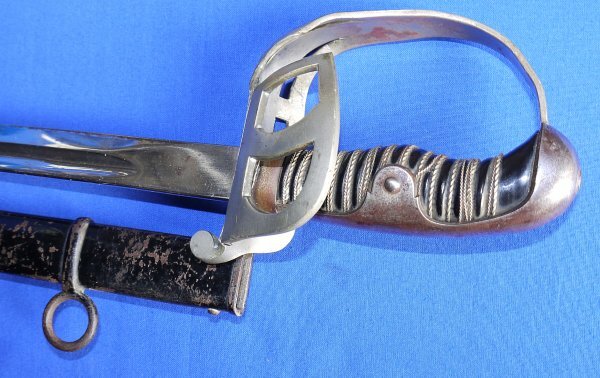 In overall good condition, a 1852 Model Bavarian Train Battalion Officer's Sword. 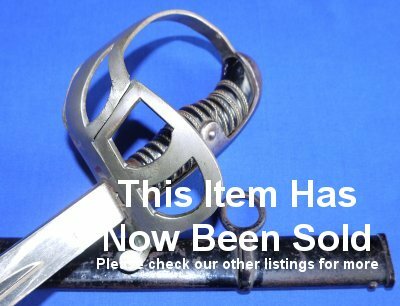 The plain 30 1/2 inch blade has no maker marks, is in good condition and firm in the hilt. 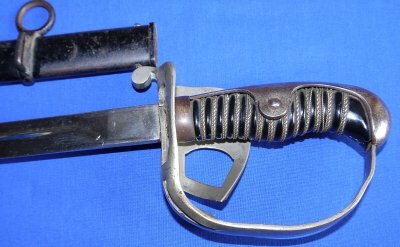 The hilt with bending damage, but is sound and the folding section still works. The grip is good but some of the grip wire is astray towards to pommel. The steel scabbard is good, the original black paint has been worn / scuffed off in several places. The sword sheathes and draws well. Nice enough sword, brilliant value at only £225. Please quote item reference Q66. Further / full sized images available upon request. Box 0411-1m (1.600).